However, if you want a VPN with good performance in China or to get around geographic restrictions (for example, to watch Netflix), we recommend that you choose one of the premium VPNs that we recommend in this article on the best VPNs for China (updated monthly). Extras: GhostBear (Ofuscation), Kill Switch (VigilantBear), browser extensions (Chrome, Opera and Firefox). Free: TunnelBear gives you 500 MB per month for free. In addition, it’s one of the only low-cost or free VPNs that doesn’t compromise your privacy or security. Easy to use: Its apps are very easy for everybody to use. GhostBear: Despite being a low-cost VPN, it offers the possibility of obfuscated connections, which prevent the connection from being identified as a VPN, which is very useful for getting around geographic restrictions and censorship. However, it’s not as powerful as other VPNs, as for example, Tunnel Bear won’t let you watch Netflix. Speed: As tends to be the case with cheap VPNs and those offering free services, this greatly affects the VPN’s performance, as they can’t maintain a lot of servers and the majority tend to be saturated with users. Performance in China: In addition to its poor performance, TunnelBear doesn’t offer the possibility of using OpenVPN on iOS devices, which is currently the only protocol that usually works in China. There are much more stable and faster VPNs for China. App simplicity: Despite the fact that the app is very easy to use, for advanced users, it might seem too simple, as you can’t customize practically anything. 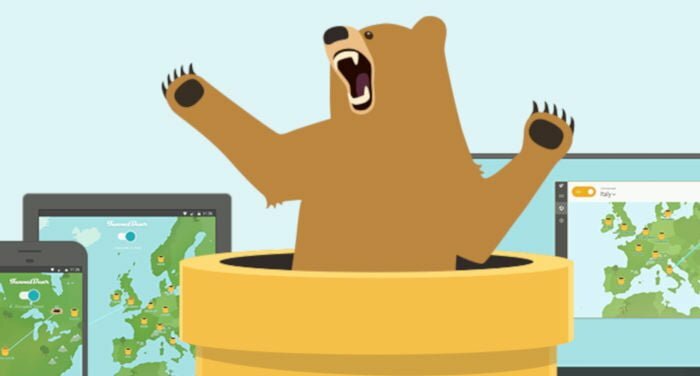 External audits: TunnelBear states that it was the first VPN to be subject to external auditing to demonstrate that it doesn’t participate in the doubtful practices that are very common among VPN providers (especially free VPNs), such as selling bandwidth and browsing data, offering low security levels or even installing malware. The audit carried out by Cure53 found a few vulnerabilities that were later corrected, which seems to indicate a credible and rigorous audit. Free plan: 500 Mb of data for free per month. Monthly plan: 9.99 USD per month. Annual plan: 49.99 USD (4.17 USD per month). It’s clear that TunnelBear makes sense if you choose the free subscription with a one-time use of the monthly plan if you run out of data before the month is over. Remember that you have to cancel the subscription if you don’t want to use the unlimited data plans, as otherwise you might be automatically charged for the renewal. Who do I recommend this VPN for? In my opinion, Tunnel Bear is recommendable for people that want to use their VPN in a very limited way, such as for sending WhatsApp messages, as in this case, you don’t need a lot of speed and the 500 MB for free should be more than enough for one month (unless you send and receive photos and videos all day). Click here to try TunnelBear for free!